Eyebrows correct, specially selected by the type of person, taking into account the recommendations of experienced makeup artists, the shape can transform a woman’s face, visually hiding some flaws. Conversely, their unkempt appearance even makes the most flawless makeup careless. To make a beautiful eyebrow, you usually need to visit a beauty salon, but at home, if you try a little, you can give them a well-groomed look, and your face – a complete image. Pulling out hairs at home without help, it is sometimes difficult to correctly evaluate the result, so you can either overdo it and stay practically without browns, or, sparing yourself, get torn uneven lines. To avoid these mistakes, experienced beauties recommend using the 3 point rule: you need to determine the beginning, end and highest point of each arc. To do this, use a mirror and a pencil or a long brush. 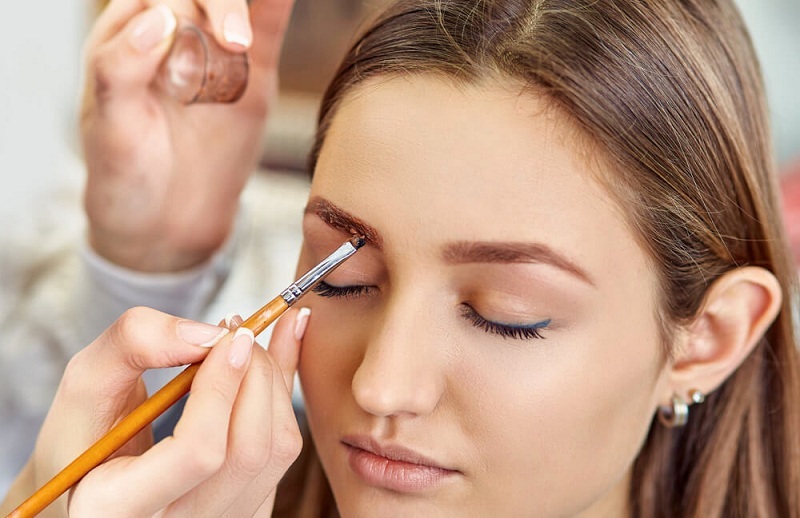 To determine the beginning of the eyebrow, you need to attach a brush or pencil to the wing of the nose, aligning it with the inner corner of the eye, marking the starting point of hair growth with an eye pencil. The end of the edge is determined in the same way, only you need to attach a pencil or brush to the beginning of the wing of the nose and the outer corner of the eye. 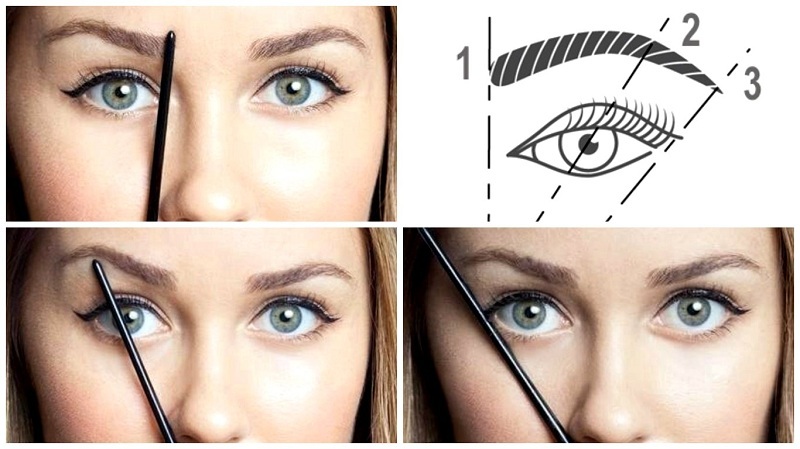 In order to find the highest point of the beautiful eyebrow, it is necessary that the pencil should connect the wing of the nose and the pupil with a straight line strictly in front of one eye with one line. Having identified all 3 main points and marking them with a pencil, you can proceed directly to plucking the extra hairs. Before plucking, they first recommend aligning the height of growth of all the hairs, as usually at the beginning of the Brock they grow vertically, and then fall in line towards the outer corner of the eye. Remove the extra length you need with small scissors, carefully trimming the upper line of hairs. Then you can safely proceed to a rather painful procedure to remove all excess hair, after having previously disinfected the skin with the help of a lotion or a disinfecting liquid. It is better to clean the edge in the evening, so after removal, small red dots may remain. In order to maximally anesthetize the procedure, it is recommended to wipe the prepared place with an ice cube or, conversely, to steam out the skin using a cotton pad soaked in hot water. Eyebrows pluck at the bottom, almost without affecting the top. 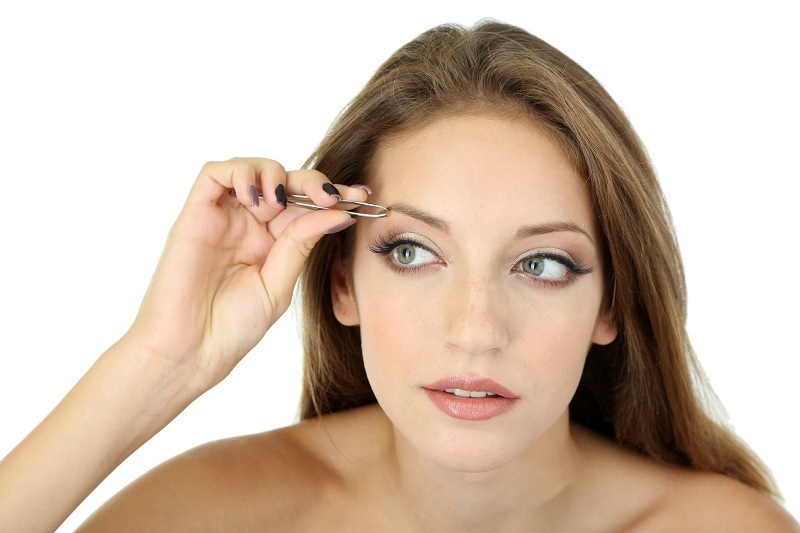 To remove hairs you need tweezers with rounded tips, one or more at once in the direction of the growth of hairs. Since the trend is now maximum natural, it is not recommended to make the edge too thin. If you have doubts that you can make even beautiful lines yourself, you can mark the upper and lower edges by drawing them with a pencil and remove the hairs by following these lines or use special stencils that clearly shape the shape. If the hairs grow sparsely, then you can give the eyebrows a beautiful clear shape, using special paint, pencil, and shadows, to finish painting the required thickness and fullness. If the eyebrows do not have enough length to the point that marks its end, you need to carefully imitate the hairs with a pencil or shadows. When using a pencil, the make-up wizard recommends doing feathering so that the eyebrows look as natural as possible, not to draw one long solid line, but to apply point short strokes. You can fill the edge with the help of paint that dyes small hairs, and then they will look much fuller and more harmonious. It is necessary to select the paint, color of the pencil or powder by following this rule: it is advisable to make the eyebrows of a brunette two lighter on the tone, blondes, on the contrary, a tone or two darker. 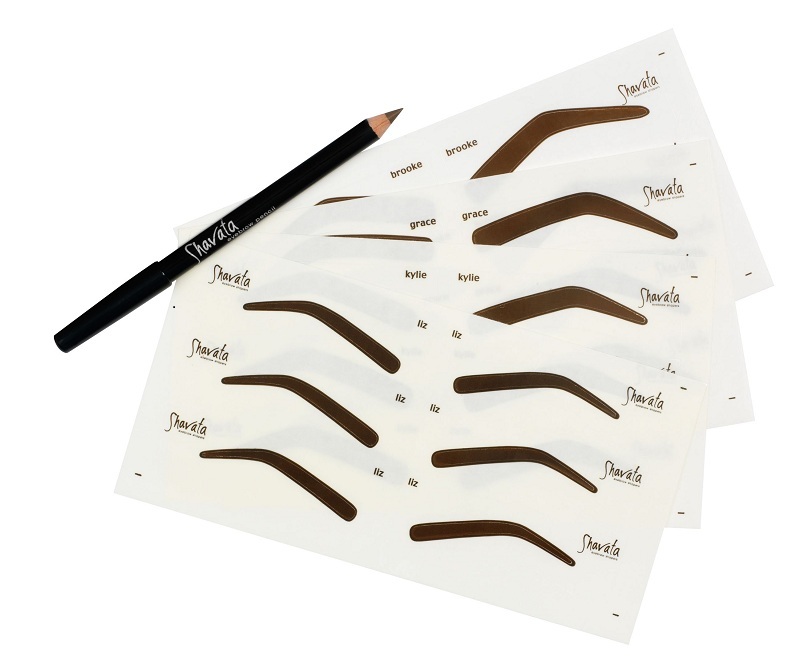 Having decided to create perfect eyebrows at home, you need to clearly understand that for different types of faces their ideal form is different. First, it is desirable to evaluate your own shape of the face, and then try to choose the most appropriate shape of eyebrows. 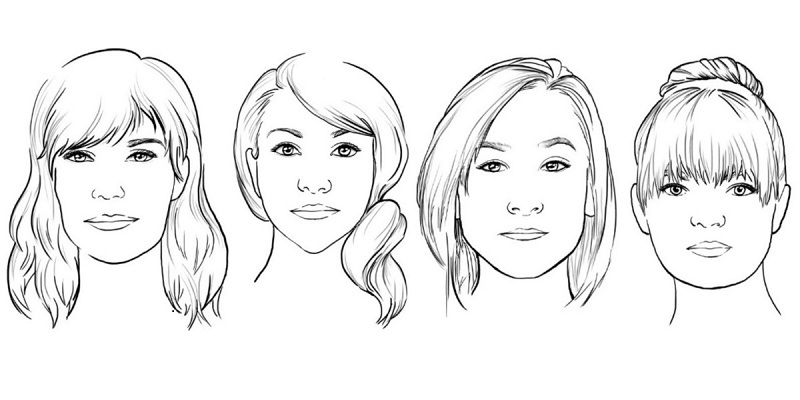 For the correct oval face, it is desirable to make the eyebrows arched with a soft curve. For a round face, visually correct roundness will help curb-shaped curb, with a short tail and high lift. The triangular face can be corrected by ascending lines, the end of which is uniform, smooth. For a square-type face, eyebrows should be made with a long tail and high lift, thick and full. Important! The location of the highest point of the eyebrow also affects the perception of the face as a whole – the closer this point is to the temples, the wider the face appears. Growing in the wrong place the hairs make the shape of the eyebrow blurred, and the face itself neglected. To create the ideal shape of the edge, it is advisable to visit the master once in the salon, and then maintain the shape, mercilessly removing growing hairs in time, located outside the upper and lower lines. A beautiful eyebrow is the most natural eyebrow! Use our tips and create your ideal home shape yourself!